" We are always very pleased with your work. Good Job!" " I had to leave left tech he installed locked up I never knew he was there tech did extra work total price was very fair extremely satisfied. The best part tech did all this and he wasn't even a friend or family"
" I received a fast response upon calling for a new unit. Pricing was very fair and extremely competitive with other companies. I called to start the process on 3-6-17. Winstead air was finished installing a whole new system by 3-8-17. I'm completely satisfied with their customer service and reliability. They were on time with every meeting. I highly recommend their services and will continue to use them for all of my climate control needs. " " Lynn Winestead, (our installer), was very professional and polite. He started the job when he said he would and completed when he said he would. The product is working great. I will defiantly recommend Mr. Winestead and this product to others." " I call Winstead on a Saturday and they showed up within a few hours and quickly found and fixed the problem. In a business difficult to find trusted vendors Winstead is rated five stars." 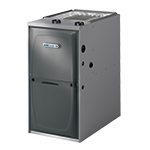 "I have been using Winstead Climate Control for a while now. Each service call was on time and quality service. I will use this service again. " " Quick and reliable service! We were extremely pleased!" 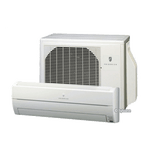 "I highly recommend Winstead Climate Control. Lynn is very knowledgeable, honest, polite and courteous. He has always responded in a very timely manner. When one of our units went out in the main hall during an Event, he arrived quickly and had the unit going in no time. His prices are very reasonable too. " 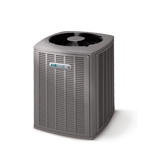 " I highly recommended Winstead Climate Control. Very honest and great prices. I will always use them for any A/C issues that i have in the future. He's knowledgeable, courteous , and dependable . "